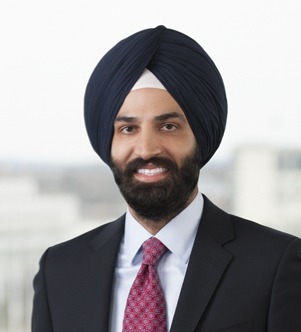 Amandeep (Aman) S. Sidhu is a partner in the Litigation practice group with substantial experience representing companies in high stakes disputes, including clients across the health care, life science and pharmaceutical industries. Aman’s commitment to client service and delivering results is reflected in his recent recognition as a “40 Under 40” by the Washington Business Journal, “DC Rising Star” by The National Law Journal, “Rising Star” by the Minority Corporate Counsel Association, and “Best Under 40” by the National Asian Pacific American Bar Association. Aman focuses his practice on compliance counseling, state and federal government investigations, and complex civil litigation and disputes involving regulated industries. He regularly represents hospitals and health care companies in defense of qui tam whistleblower litigation involving the False Claims Act (FCA), Stark Law and Anti-Kickback Statute in federal district courts throughout the United States. Aman also advises clients on risk management issues arising in the US and internationally, including compliance with the Foreign Corrupt Practice Act (FCPA). Aman serves on the Firm's Diversity/Inclusion Committee and Pro Bono and Community Service Committee. Previously, Aman was a judicial clerk for the Chief Judge Walter S. Felton, Jr., of the Court of Appeals of Virginia. While clerking, he was a member of the National Association of Appellate Court Attorneys and was appointed by Supreme Court of Virginia Chief Justice Leroy R. Hassell, Sr., to serve as a task force member of the Commission on Virginia Courts in the 21st Century: To Benefit All, To Exclude None. Prior to law school, he was a business analyst for the Federal Defense Group of American Management Systems, Inc. While in law school, Aman was an associate editor of the Richmond Journal of Law and the Public Interest, vice president of the Moot Court Board and president of the Student Bar Association. Aman is also a co-founder of the Sikh Coalition, a civil/human rights nonprofit organization and, in that capacity, has led lobbying efforts in US Congress regarding hate crimes, profiling and workplace and public accommodation discrimination and serves as lead counsel in a multi-year effort to end the US military’s presumptive ban on the service of observant Sikhs and other religious minorities.